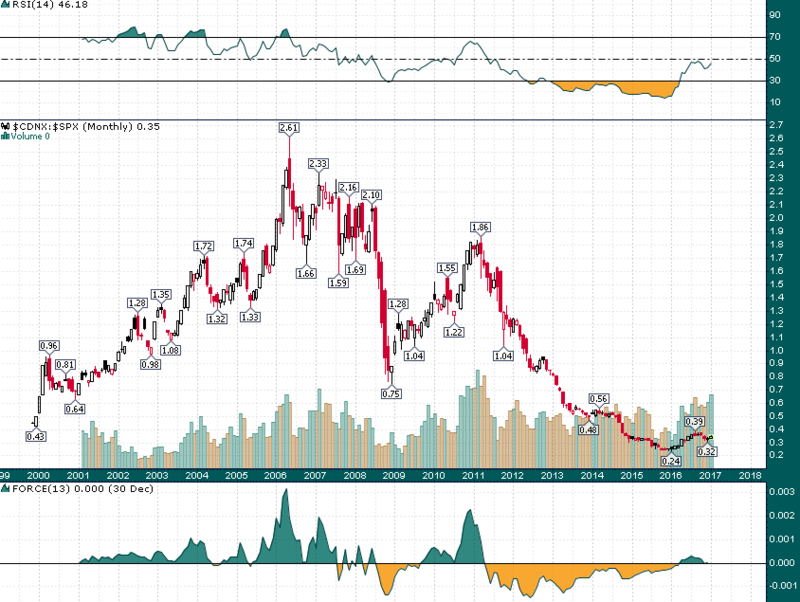 The Venture Will Catch Up To The S&P 500 In The Next Four Years | Energy and Gold Ltd.
Do you remember where you were in May 2006? Ratio charts are important in helping us to gain a clearer picture of market trends, cycles, and inter-market correlations. As you can see above junior resource shares experienced a prolific period of gains from about mid-2005 until peaking in May 2006; this rally saw the TSX-V/S&P ratio double in less than a year as resource stocks surged while the S&P 500 was relatively stagnant. Since that peak in May 2006 the TSX-Venture (resource heavy Canadian small/micro cap equity index) would lose ~90% of its value relative to the S&P 500 over the next decade before making what potentially could be a major long-term low in January 2016. 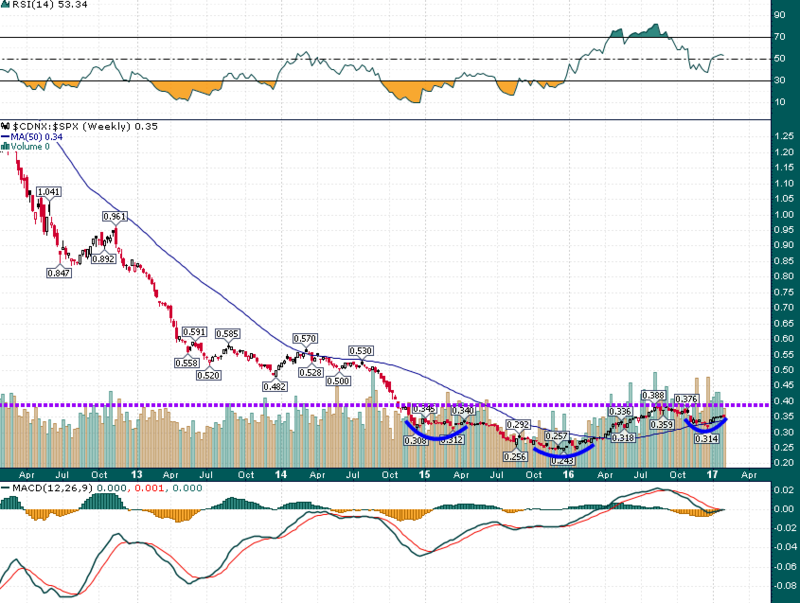 I remember that I was in Denver, Colorado attending a conference on May 11, 2006 – the day that the gold miners and the TSX-Venture put in a major top. We were all glued to the CNBC ticker in between meetings (there was a lot less technology back then) as Goldcorp, Barrick, and the other big gold names reached all-time highs. The sector had been up every day for the last week and many stocks had been rising 5-10% each day during this time. The gains that investors had achieved in less than year were mind boggling, and this was the 6th year of a junior resource bull market that had begun in 2001! When the gains had become ridiculous and everyone was in agreement that one had to be long mining shares a nasty correction wasn’t far away. Sure enough the tumble over the next month would be violent and punishing for those who had come late to the party or were too heavily invested. By understanding investor psychology and where we have been, we can help understand where we might be going. Markets swing on a pendulum and as overheated as resource shares and sentiment were in May 2006, the pendulum was at least as stretched in the other direction in January 2016 as a brutal grinding downtrend had sent investor sentiment on the sector through the floor. From the ashes of brutal bear markets the seeds of the next bull market are planted. This is where I believe we are in the junior resource investment cycle; in the early innings of a cyclical bull cycle which could last anywhere from another 12 months to several years. Above .39 the head & shoulders bottom pattern would offer a measured move target of .53 which correlates with important support/resistance from 2013-2014. 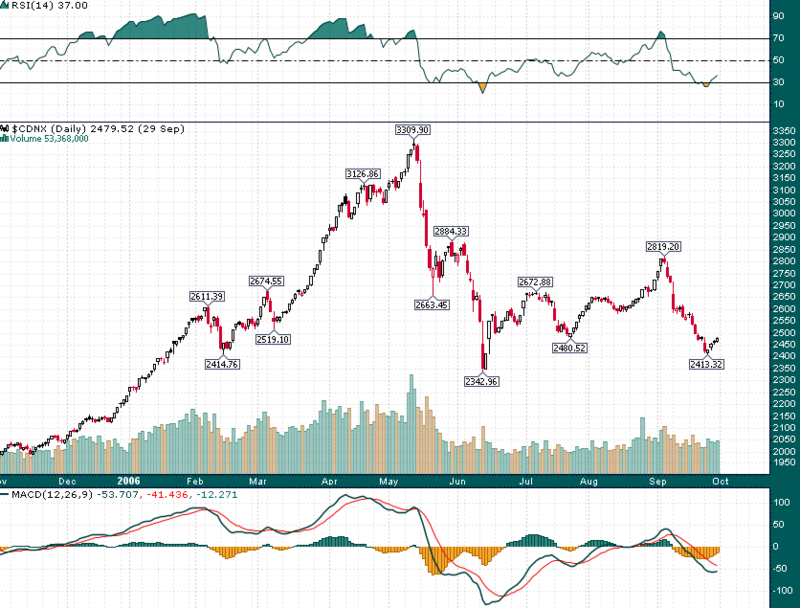 To give some idea as to what a .53 ratio means for the TSX-V/S&P 500 ratio the venture is currently at 805 and the S&P is at 2270, if the S&P stays where it’s at the Venture would need to rise to 1203 (a 49.4% increase from today’s level). The fact is that junior resource shares were mired in a ~10 year bear market which, in all likelihood, ended in January 2016 and the potential which still remains as this cyclical bull reaches its middle, and eventually late innings, is substantial. I’m not a big predictions guy but i’m going to throw a prediction out there that I believe strongly in due to a multitude of reasons ranging from plain old mean reversion to a belief that Trump’s policies favor smaller North American resource companies and do not favor mega-cap multi-national companies. The TSX-V/S&P 500 ratio will reach 1-1 before Mr. Trump’s first term is over. You heard it here first…. DISCLAIMER: The work included in this article is based on current events, technical charts, and the author’s opinions. It may contain errors, and you shouldn’t make any investment decision based solely on what you read here. This publication contains forward-looking statements, including but not limited to comments regarding predictions and projections. Forward-looking statements address future events and conditions and therefore involve inherent risks and uncertainties. Actual results may differ materially from those currently anticipated in such statements. The views expressed in this publication and on the EnergyandGold website do not necessarily reflect the views of Energy and Gold Publishing LTD, publisher of EnergyandGold.com. This publication is provided for informational and entertainment purposes only and is not a recommendation to buy or sell any security. Always thoroughly do your own due diligence and talk to a licensed investment adviser prior to making any investment decisions. Junior resource companies can easily lose 100% of their value so read company profiles on www.SEDAR.com for important risk disclosures. It’s your money and your responsibility.